The Columbia River Gorge has the beautiful scenery of towering peaks above the river but also has, on the Oregon side, a multitude of waterfalls. Wahkeena Creek forms a series of different falls as it flows, now a plunge, then a horsetail, then a cascade. 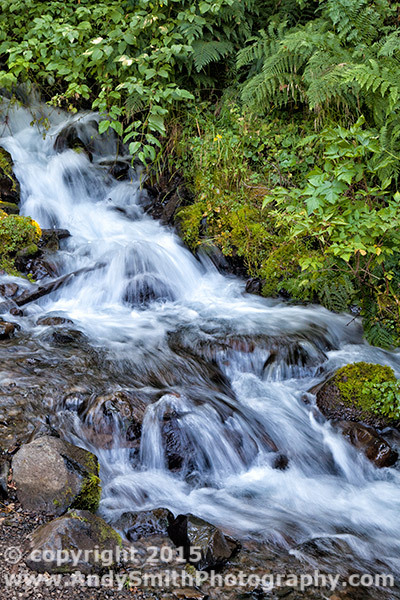 This cascade is close to the bottom of the creek where it becomes a series of tumbling rapids.